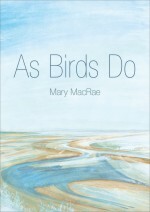 The Mary MacRae ‘Access to Poetry’ Memorial Fund: many will remember the outstanding poet and Second Light member, Mary MacRae (her books As Birds Do and Inside the Brightness of Red are available from Second Light). The Fund has been created in her memory, begun with a substantial donation from Mary’s family, with the intention of providing modest grants to enable members on low income, along with a travel companion if they are unable to travel alone, to come to Second Light events. Members on low income, who may not otherwise be able to attend Second Light events, may apply for assistance with travel, for themselves only or for themselves and a travelling companion, if they are unable to travel alone. Recipients will be asked to make receipts for expenditure available whenever possible. Applicants should be aware that Donors of substantial amounts to the Fund may be given access to Fund records on a confidential basis. Application may be made in respect of any Second Light events, whether for a single day’s events or a residential course. Information about events can be viewed, and booking forms downloaded, here. Mary MacRae, who read English at Newnham College, Cambridge, where she made lifelong friends, died of cancer in 2009 aged 67, leaving a husband Lachlan, a daughter, Flora, and a first grandchild Emyr. She wrote and published poetry for only the last ten years of her life, after ill-health forced her to take early retirement from teaching. She taught for 15 years at the James Allen Girls School (JAGS), Dulwich, London. Her commitment to writing led to her deep involvement with the first years of the Poetry School under Mimi Khalvati,studying with Mimi and Myra Schneider, whose advanced poetry workshop she attended for 8 years. In these groups her exceptional talent was quickly recognised, leading to publication in many magazines and anthologies. She also joined Second Light Network, supporting it with both her active participation (including guest-editing a newsletter, with Lucy Hamilton, and attending a residential workshop at Launde Abbey) and regular generous donations. Mary’s godmother, husband and daughter have, equally generously, provided the initial support for this memorial fund. ‘As Birds Do’ is now out of print. 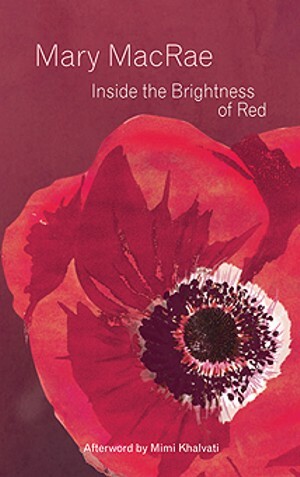 Inside the Brightness of Red is a second, posthumous, collection of poetry by Mary MacRae. In her Afterword, Mimi Khalvati says of these poems, ‘We cannot read Mary without becoming her, so strong is her empathy with all living things, so intense her desire to be fully alive, so palpable her sense of mortality.’ The wide range of poems here includes poignant work written when she was terminally ill but also beautiful lyric poems about childhood, youth, relations with parents, marriage, friendship and her responses to art and nature. This is MacRae’s first poetry collection. 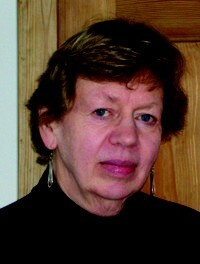 She is published in journals and many anthologies. She lived in London but travelled widely and had close connections with Kent and [West] Wales. Outer landscapes in city and countryside are often her entry point to the inner, spiritual landscape explored in her poems. ISBN: 978-0-9546934-3-5. Now out of print. Dilys Wood, 3 Springfield Close, East Preston, West Sussex, BN16 2SZ.